★ Playwords has been in the Top 10 Paid Education Apps in over 10 countries, including USA, UK, Italy, India and New Zealand! ★ Featured by Apple in "New and Noteworthy"! (USA) ★ Also available for iPad, iPhone and iPod touch! ------------------------------------ Playwords makes learning words fun for kids. 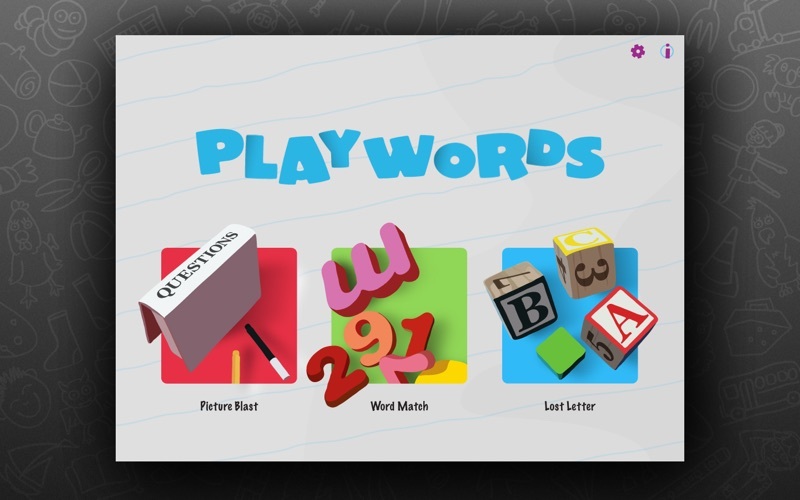 With 3 great games, Playwords is challenging for children learning to read or starting to spell. Beautifully illustrated with over 350 original, hand-drawn pictures and professionally narrated by a clear, lively voice, the games are both entertaining and educational. Easy for kids to use by themselves, Playwords is fun alone or with Mom and Dad. THREE GREAT GAMES! 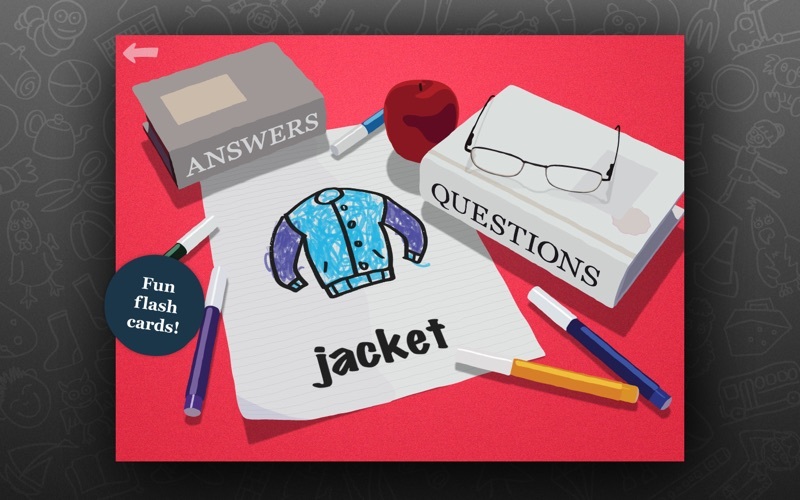 • Picture Blast: a flash-cards game that lets kids see the picture, read the word and hear the answer. 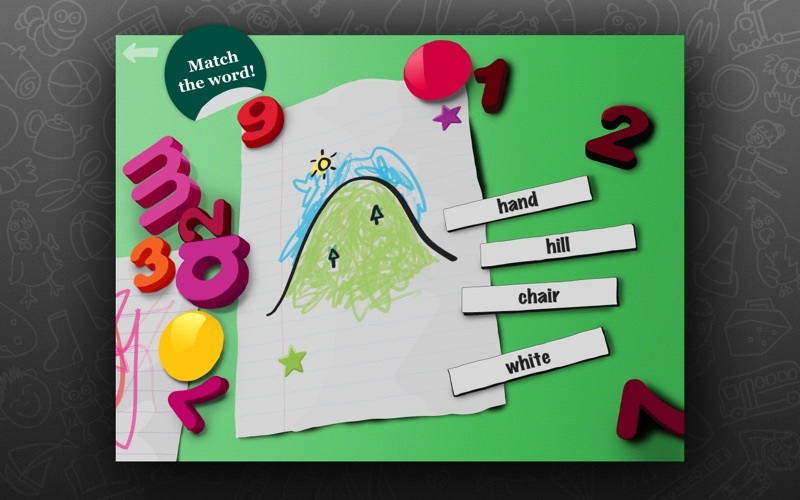 • Word Match: a multiple-choice game that challenges kids to tap the word matching the picture. 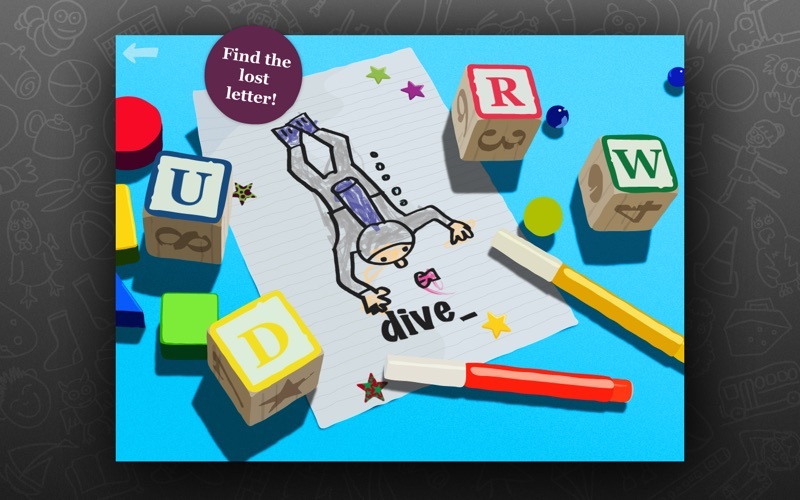 • Lost Letter: a spelling game that asks kids to fill in the missing letter in a word. FEATURES • Over 350 simple English words. • 3 great games of varying difficulty. • Bright, colorful illustrations that your child will love. • Fun, lively and clear narration of all words. • 16 exciting reward stickers and stamps to collect. • 3 difficulty level settings. • Automatically uses US English or UK English spelling based on your region. For example: "gray" / "grey" or "pajamas" / "pyjamas". • Play full-screen or in a window. Many words have difficult to understand or incorrect pronunciation including: book, hill and shop. We look forward to updating our review once the issues with pronunciation are corrected.